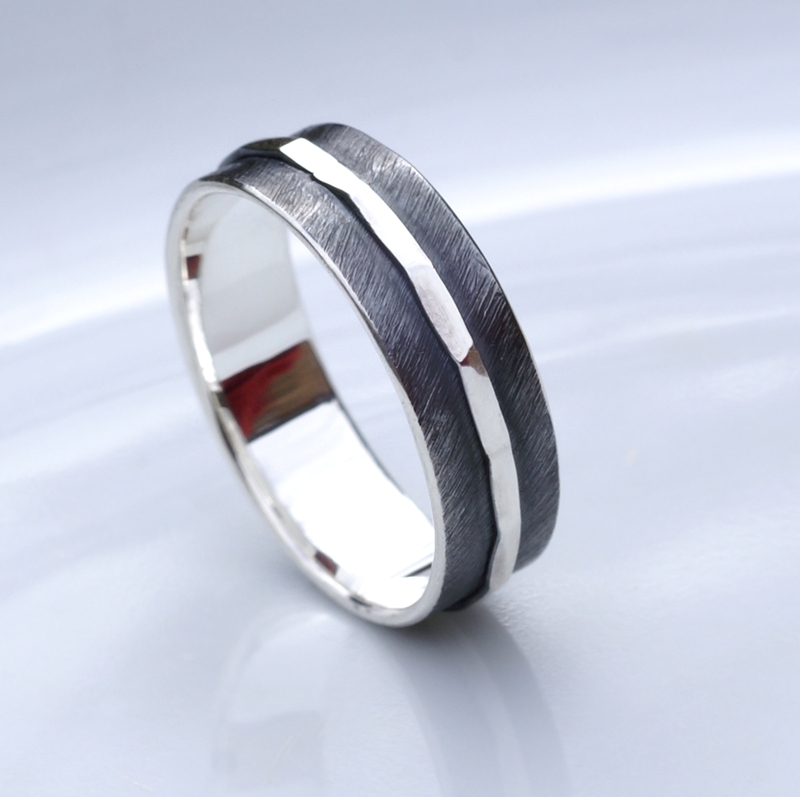 Sterling silver and 18ct yellow gold statement ring. 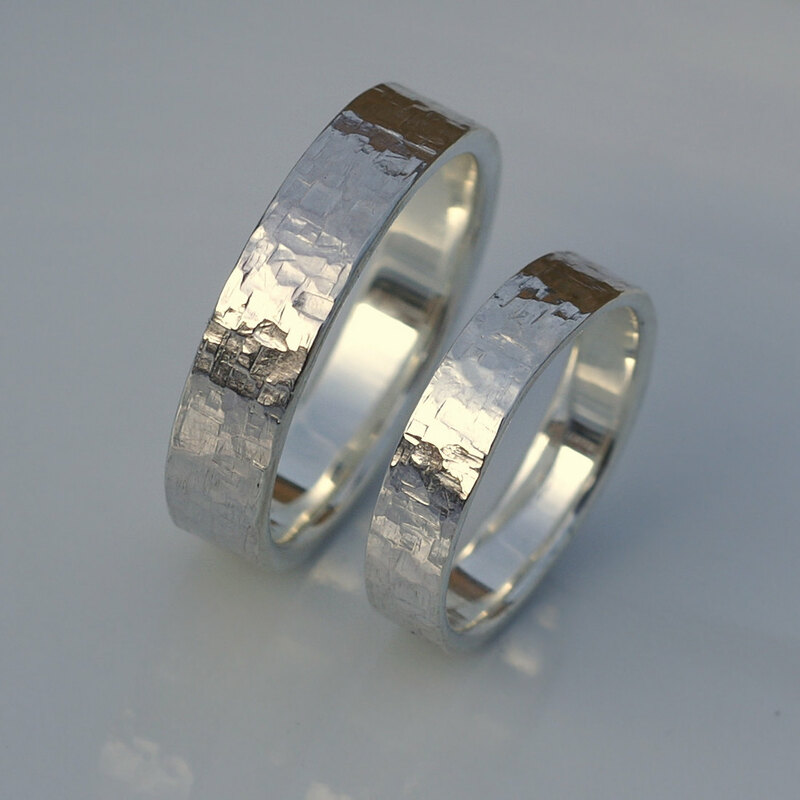 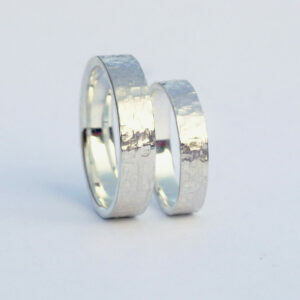 The Band is handcrafted from silver sheet and various wires. It is embellished with thin solid yellow gold wire in center. 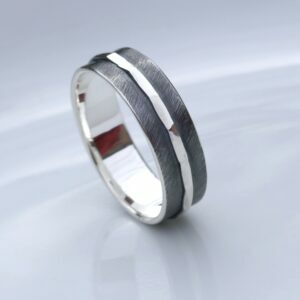 The wavy shape of the band is unique and resembles flowing water. 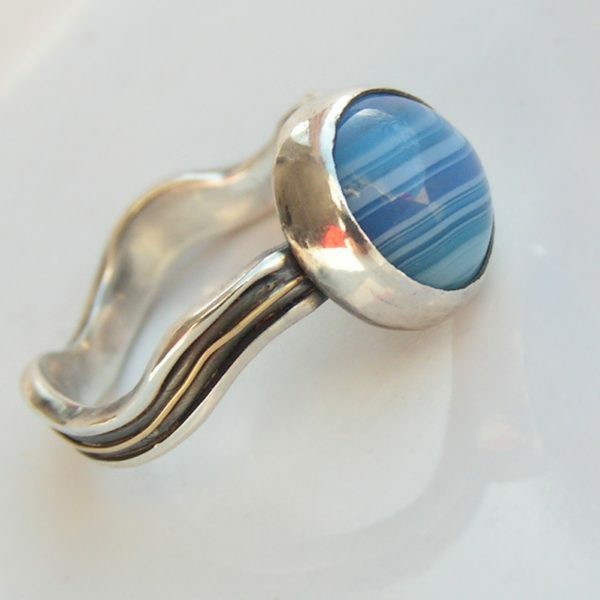 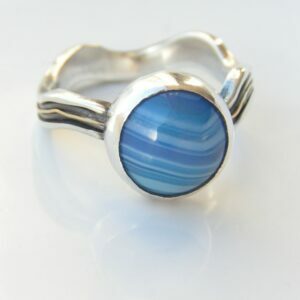 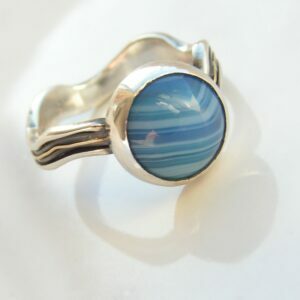 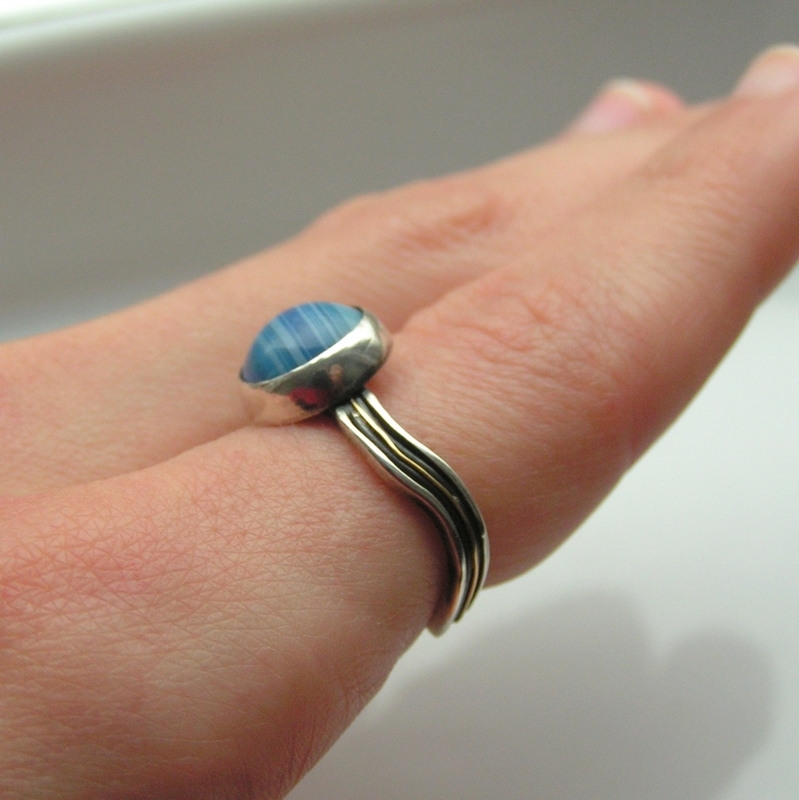 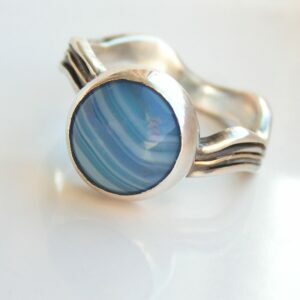 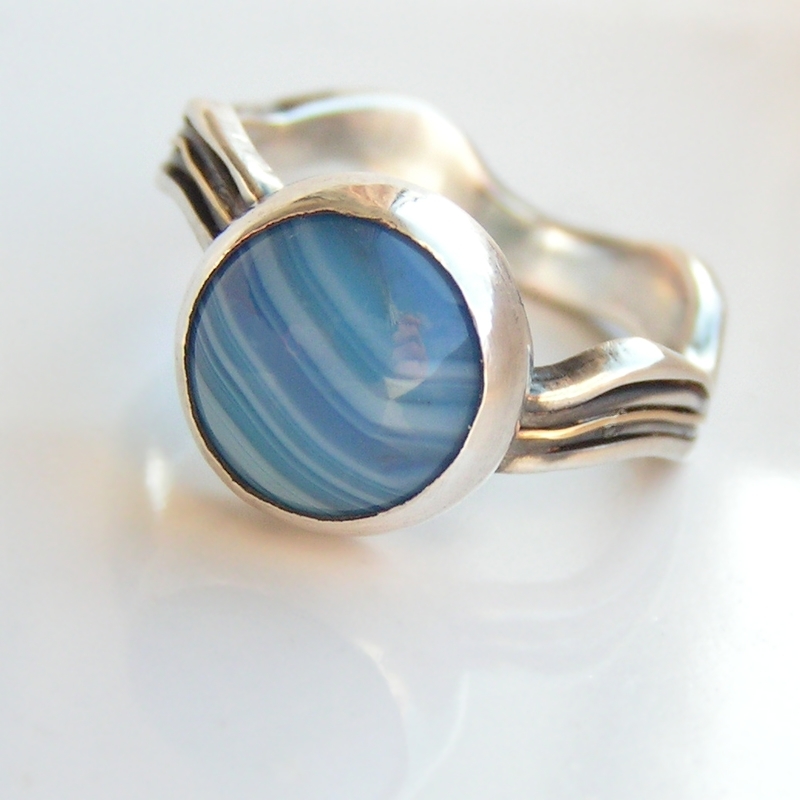 The stone is blue striped agate.